"Dance is the art, which moves the soul of a man the most." 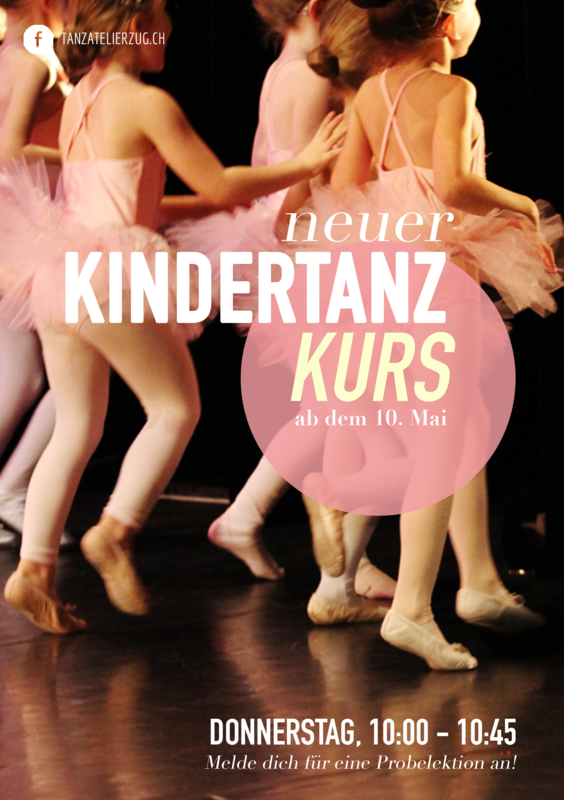 Are you on the hunt for a ballet school/ dance school in Zug? You have come to the right place! 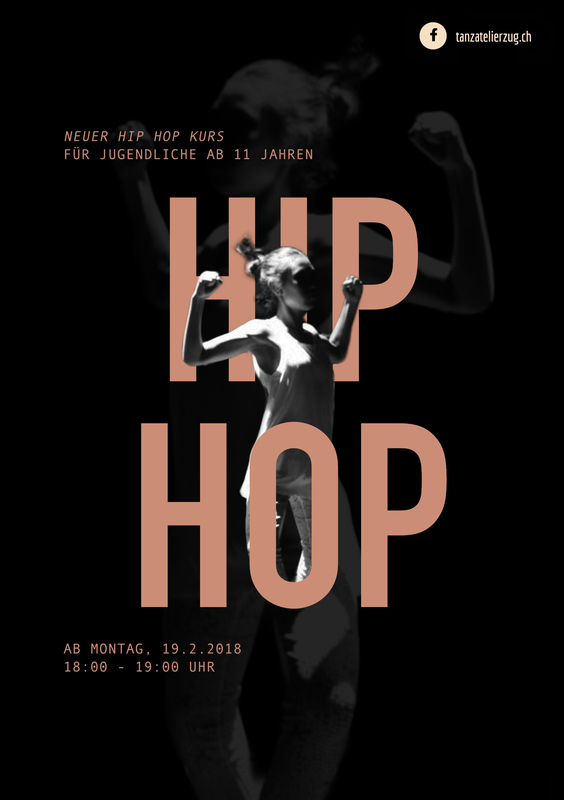 TanzAtelierZug offers classes in childrens dance, ballet, modern dance, jazz hip hop, ragga, dancehall for kids, teenagers and adult. Our website provides information on our school, the different dance styles and our course program. Let your children play and dance whilst you finish up the last bits of Christmas shopping? 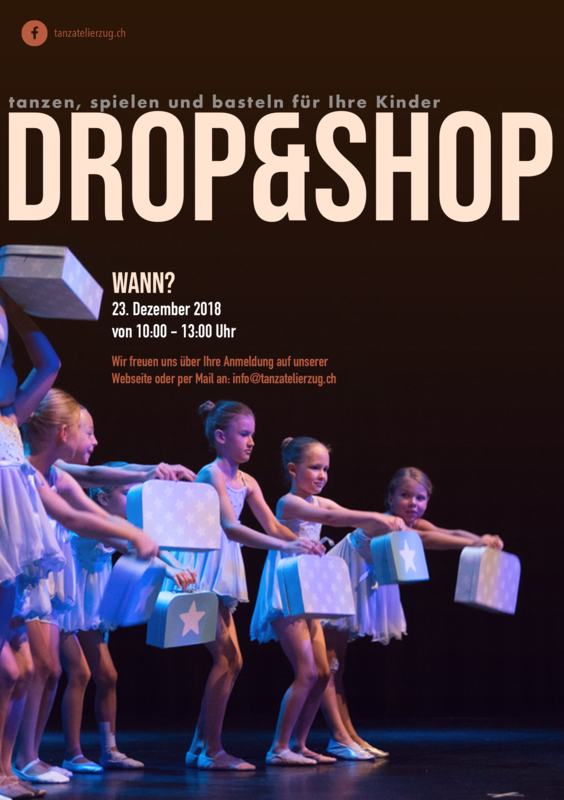 Drop & Shop at the TanzAtelierZug allows you to do so! There's another Saturday Workshop taking place on the 24th of November. 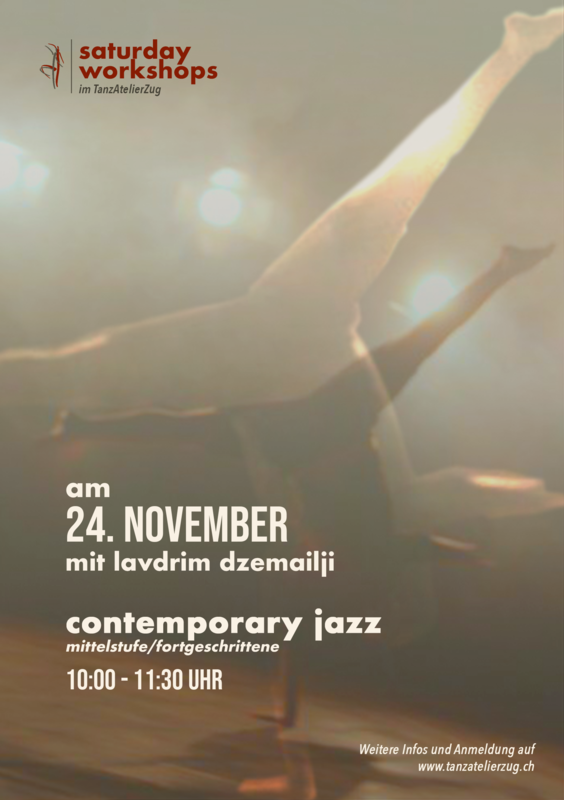 This time with Lavdrim Djemailji who will be giving a Contemporary Jazz class. For further information and to sign up follow this link. 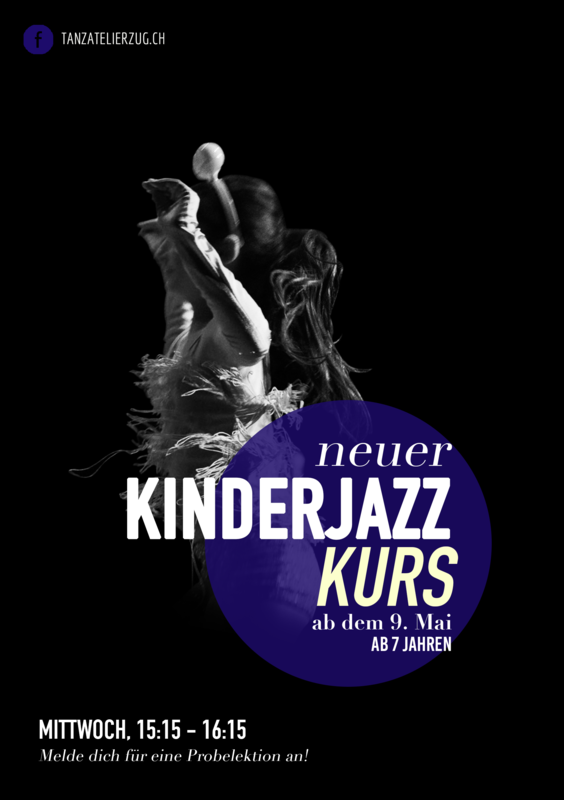 New Children's jazz classes with Lotte! Every Wednesday from 15:15 to 16:15. Click here to sign up for a trial class. 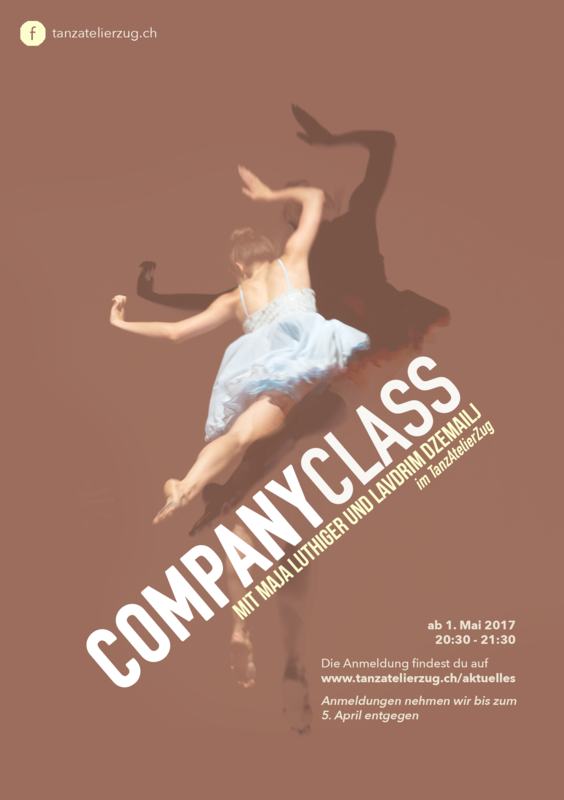 By setting up a Company Class, TanzAtelierZug wants to offer young, motivated and dance enthusiastic talents the opportunity to attend weekly and professionally managed training units. Further information on the admission process and registration can be found here. 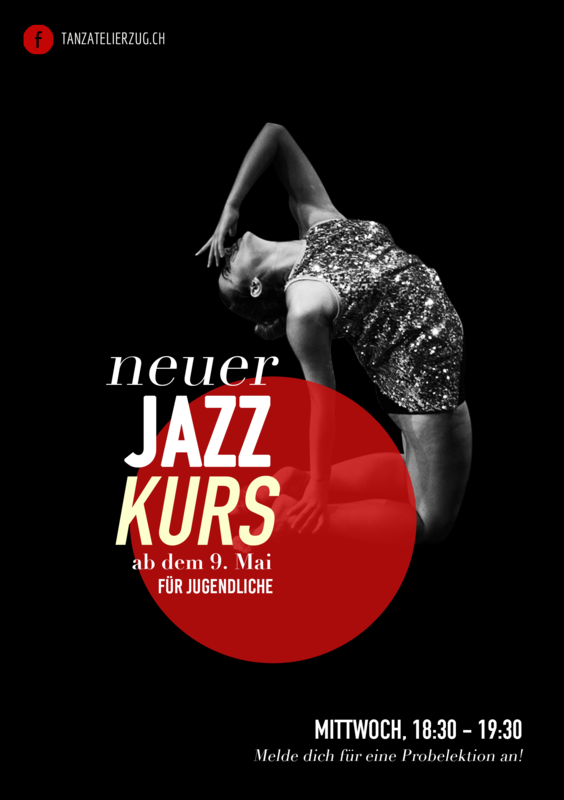 There's a new Jazz course taught by Lotte every Wednesday from 18:30 to 19:30. Sign up here for a free trial lesson. You can find further information regarding our offers and courses here. Monthly workshops on weekends with different teachers each time. Find out more and rummage through pictures and videos.